Consulting on hedge accounting and valuation We consult on entire spectrum of hedge accounting issues. This includes helping clients understand the risk they are exposed to, help them formulate a comprehensive risk management policy and in rolling out a successful hedge accounting practice (hedge designation/ documentation and effectiveness testing) acceptable to auditors etc. 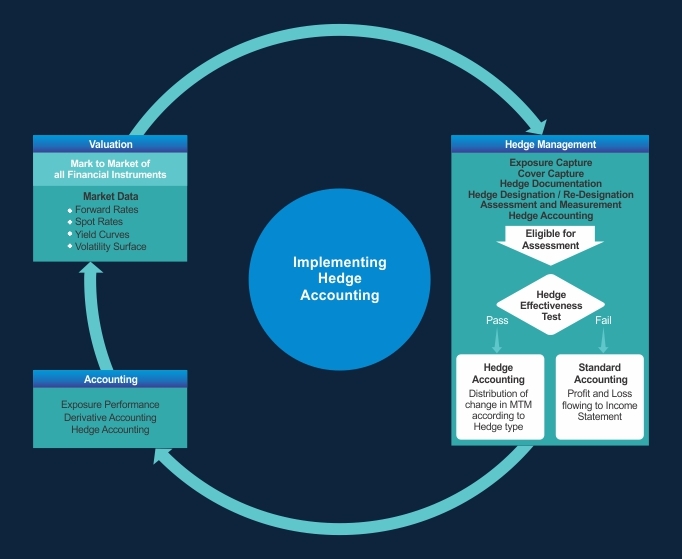 Outsourced treasury service on hedge accounting and valuation This helps our clients minimize their system implementation and training cost on hedge accounting solutions, we have our in house team which specializes in hedge accounting and valuation domain ready to help.